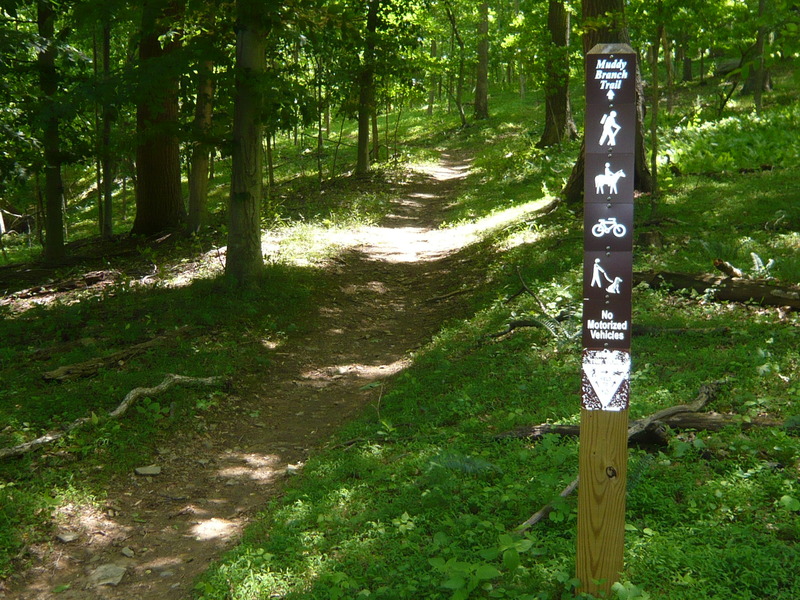 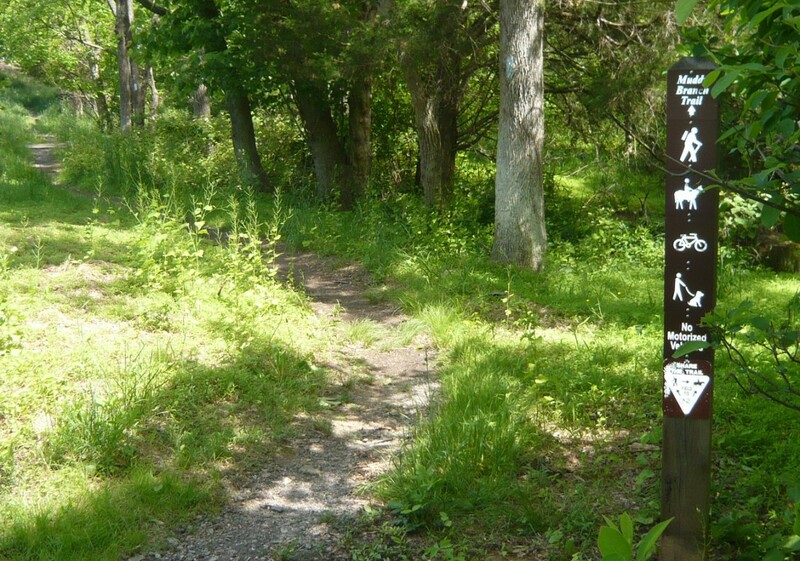 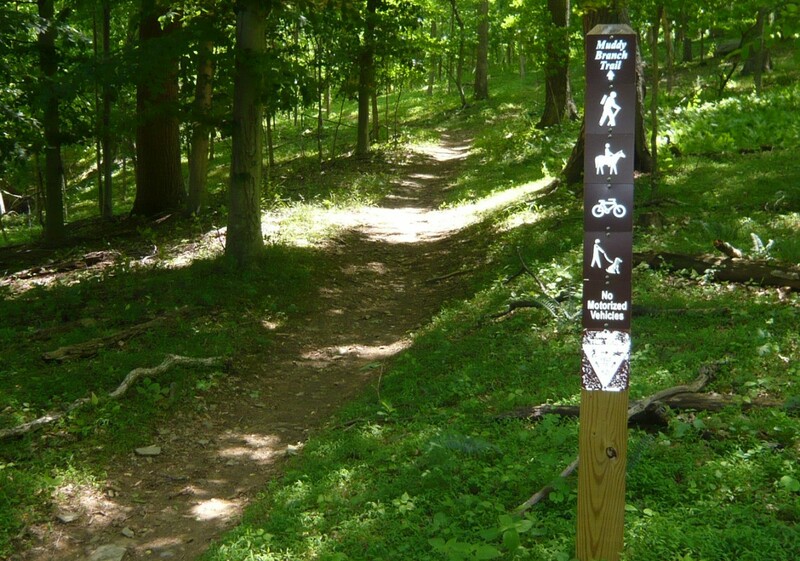 In the Muddy Branch Stream Valley Park and Blockhouse Conservation Park, between MD 28 and the C&O Canal, the 9 miles of Montgomery County’s newest multi-use natural surface trail are accessible to most users, but they aren’t flat or boring by any means. 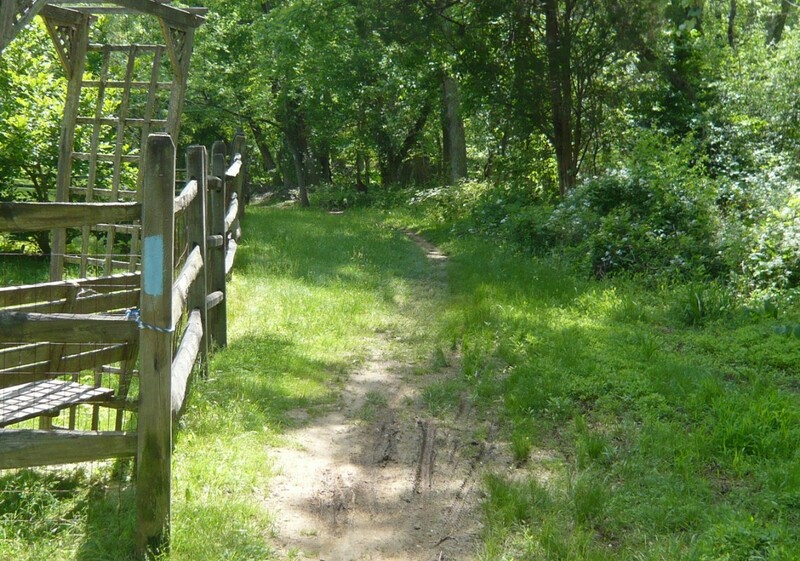 The Muddy Branch Greenway Trial traverses varied terrain and ecosystems including rocky upland forest, streambanks and meadows, and passes by rich vernal pools, earthen mill remnants and the Potomac Horse Center on its way from Darnestown Road in Gaithersburg down to the historic Blockhouse Point Conservation Park. 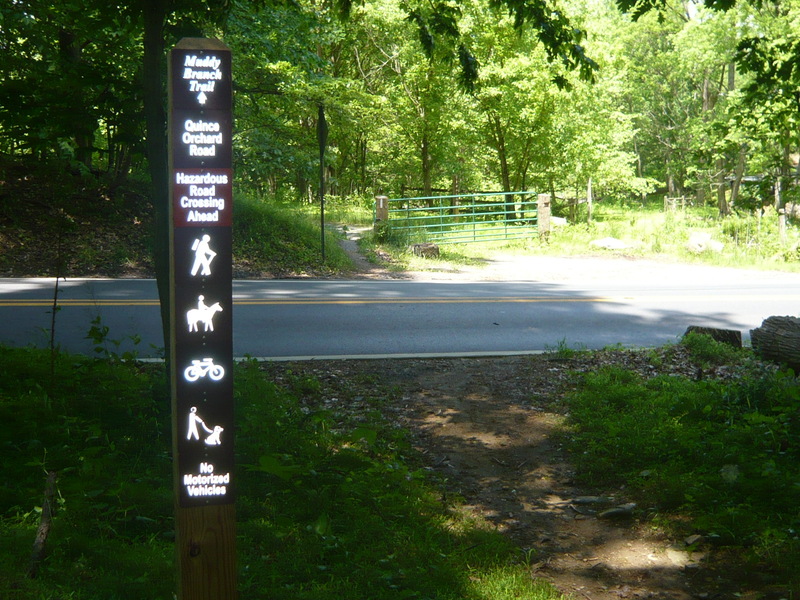 A brand new bridge now allows users to cross over to Pennyfield Lock and the C&O Canal. A large parking lot is located at the Blockhouse Point Conservation Park entrance on River Road. 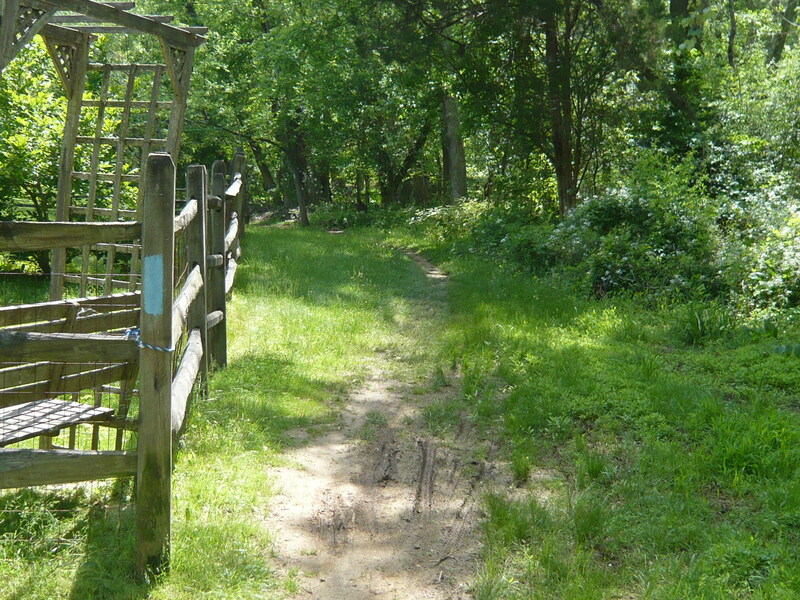 Parking and trail access are also available near the Potomac Horse Center on Quince Orchard Rd. 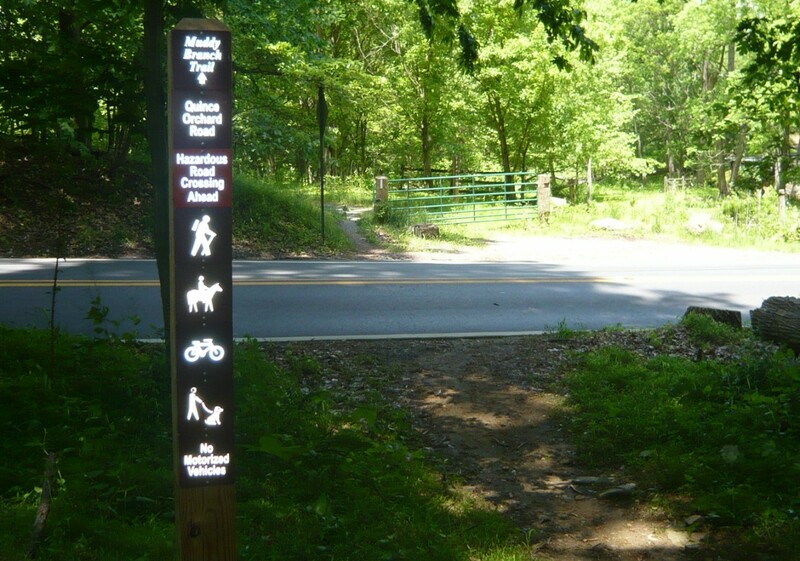 View map of Greenway Trail here.